An old Chinese saying declares the beauty of Suzhou and Hangzhou: "There is a paradise in heaven, Suzhou and Hangzhou on earth." 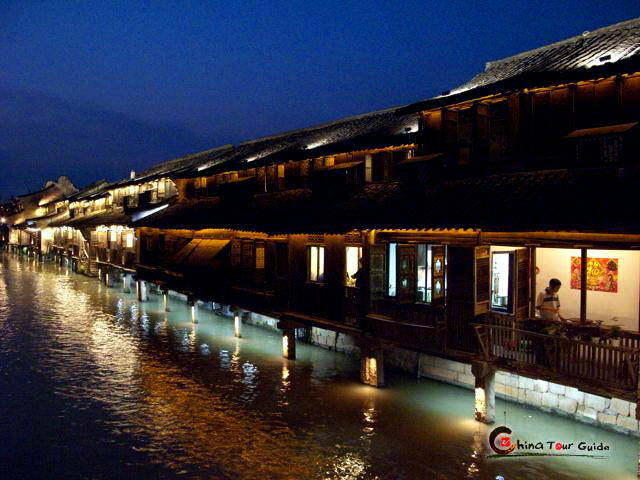 Centuries later, Marco Polo called Hangzhou the most enchanting city in the world. 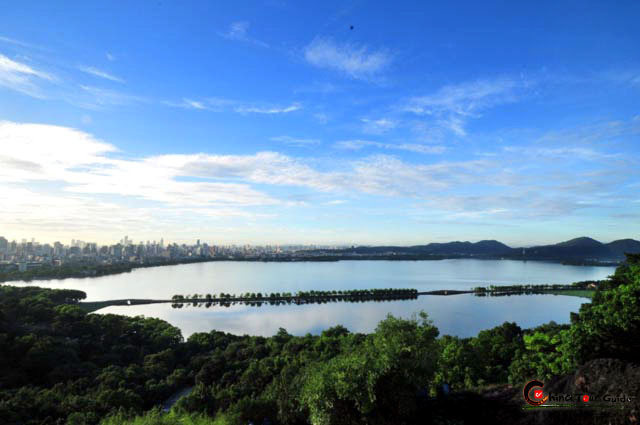 This charm is most evident in the West Lake (also known as Xihu) area which effectively functions as the center of Hangzhou. 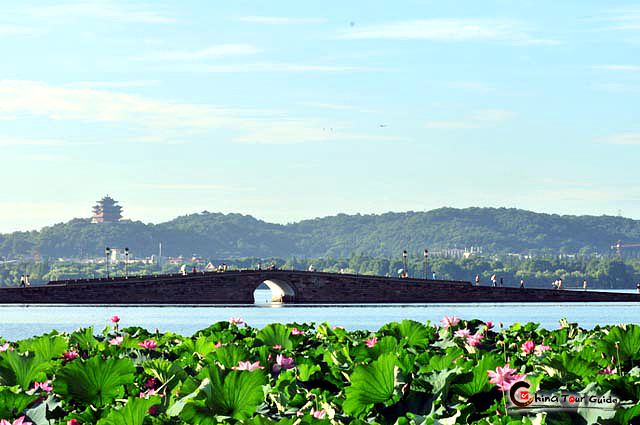 The lake is surrounded by hills on three sides while Hangzhou city itself is on the eastern shore. 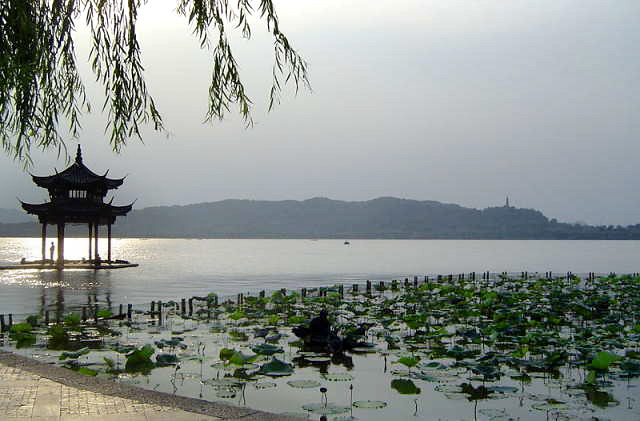 Ancient Chinese people praised the area around West Lake as a land of intoxicating beauty. Su Shi, a poet in the Song Dynasty, compared West Lake to Xi Zi, the most beautiful woman in ancient China. These poetic sentiments leave one in no doubt of the glory of the scenery that inspired them. Although a dam was built, West Lake was still naturally shallow and silted up, making navigation and commerce on the lake difficult to impossible. Around 1090 AD, Hangzhou governor Su Shi oversaw the dredging of West Lake to try and fix the problem. The waste dredged from the lake was used to construct a causeway. This new "Su Causeway" stretched for 2.6 kilometers (1.6 miles). It is lined with weeping willow, hibiscus and magnolia trees, and is interconnected by six stone bridges. You can still go for a stroll along the causeway and through the weeping willows and picture the thousands of workers deepening the lake almost one millennium ago. 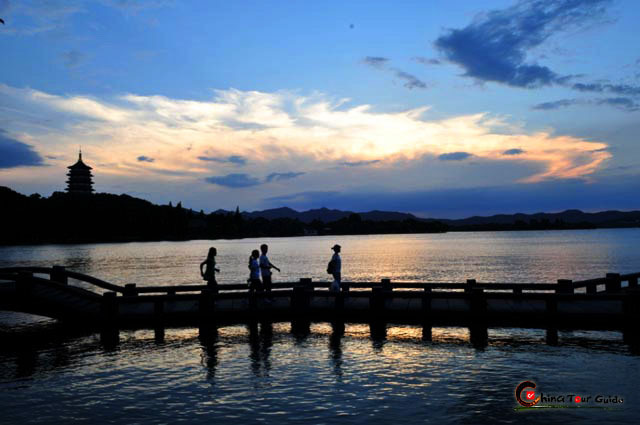 To understand better about the beauty of the West Lake, visitors should know about the "Ten Scenes of the West Lake" (also 10 Scenic Spots in Xihu), are ten best-known scenic spots of or next to the West Lake. They are: Dawn on the Su Causeway in Spring, Curved Yard and Lotus Pool in Summer, Moon over the Peaceful Lake in Autumn, Remnant Snow on the Bridge in Winter, Leifeng Pagoda in the Sunset, Two Peaks Piercing the Clouds, Orioles Singing in the Willows, Fish Viewing at the Flower Pond, Three Ponds Mirroring the Moon, and Evening Bell Ringing at the Nanping Hill. 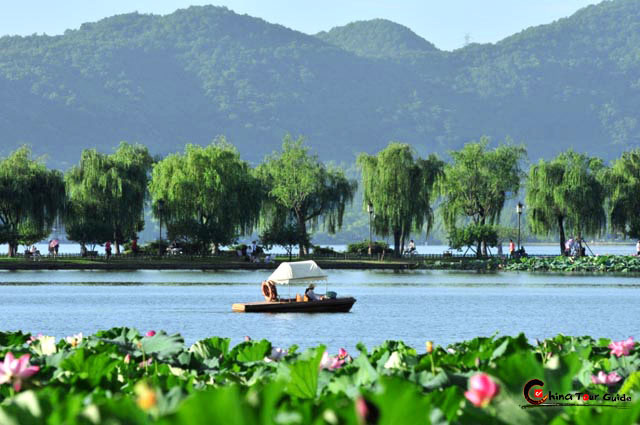 These ten distinctive scenes make the West Lake a charming fairyland with endless interest. West Lake is the pride of Hangzhou, and a favorite spot to escape the hustle and bustle of the modern city, After work or on weekends, city-dwellers leave their concrete, noise pollution, and hectic schedules behind to meet along the shores of West Lake to stroll or "eat some tea," (an expression the Chinese use for drinking a cup of tea full of Dragonwell tea leaves). Don't miss the chance to visit this charming place and find out why the locals have treasured it so much for so long. 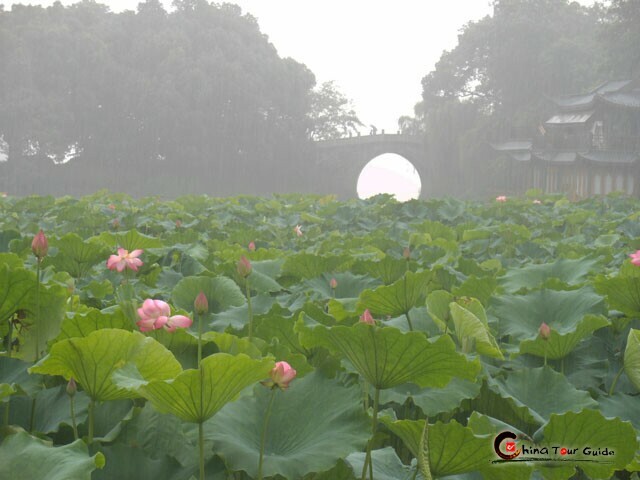 If you do come, spring is the best time to visit Hangzhou. Flowers and blossoming fruit trees will be abundant, lining the lake and causeways while filling the air with sweetness and romance.